The Parisian terrace: one of the city’s most iconic, romantic images. It is so iconic and romantic, in fact, that in 2018 the city requested UNESCO to recognize the terraces in Paris on its world heritage list! 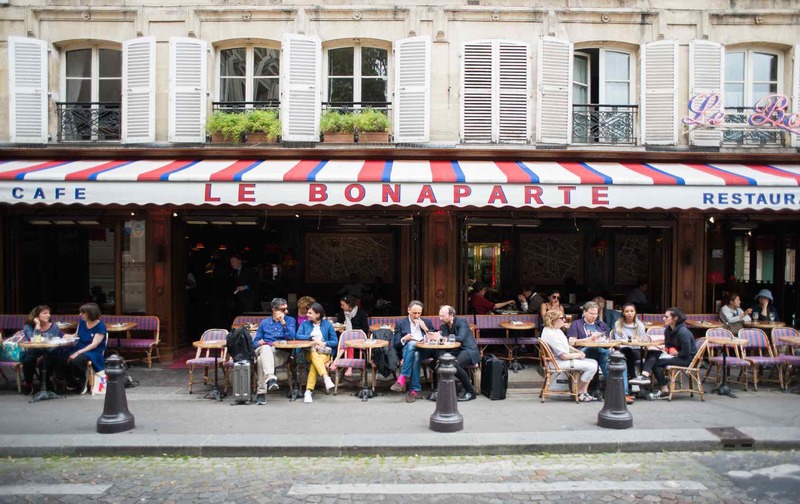 The idea is that these cafés and terraces bring people together and nurture a creative, artistic community, and they also support the idea of joie de vivre (lust for life) that is so intrinsically, delishly French. 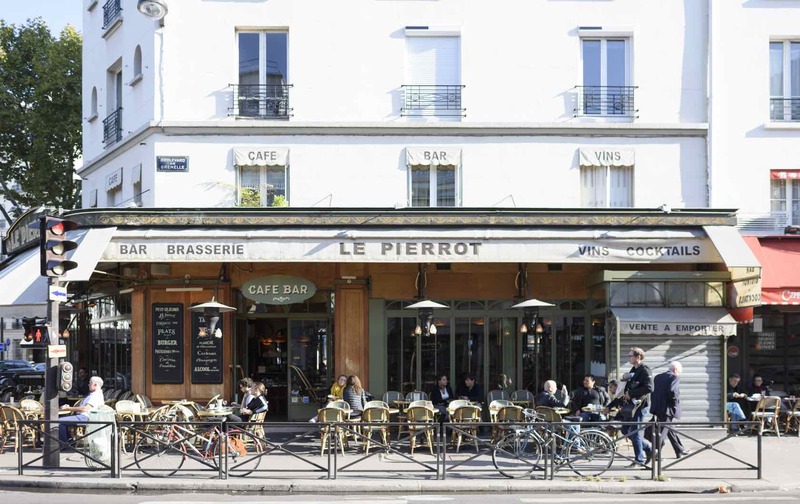 Now that warmer spring weather is descending on the city, we’ve put together some fun facts and inside tips about the terraces in Paris so that you’ll be ready to partake in this tradition once you arrive. 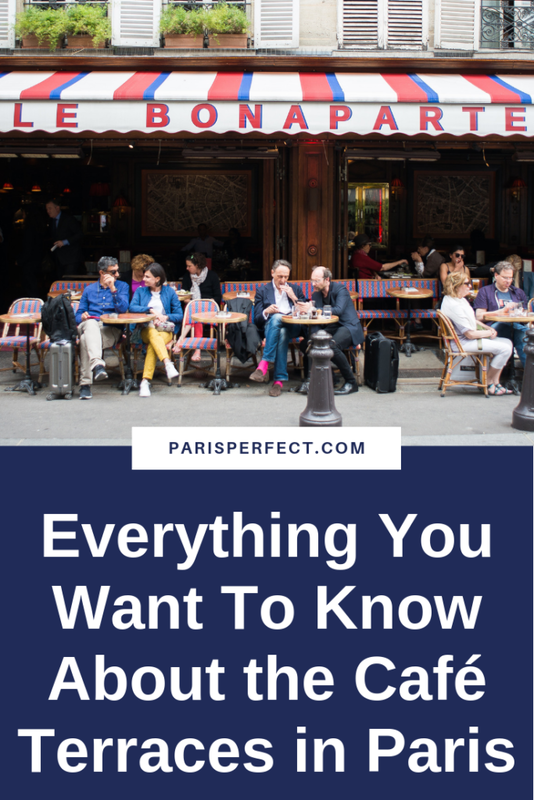 Coffee has been a lively part of French life since the mid-1600s. Cafés and terraces were meeting places to discuss philosophy, share gossip and catch up on the local news. 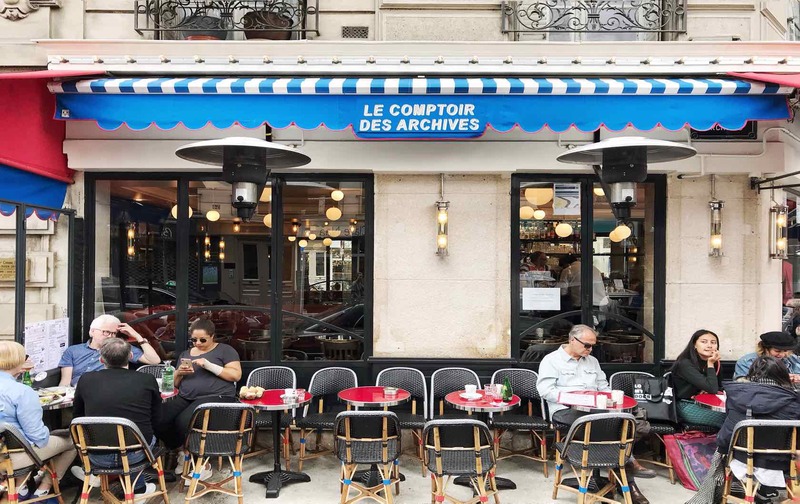 Since there were obviously no televisions or phones for most of French history, the cafés served as centers of information and socializing, and it helped that café goers could enjoy a meal and drink or two while they were there. 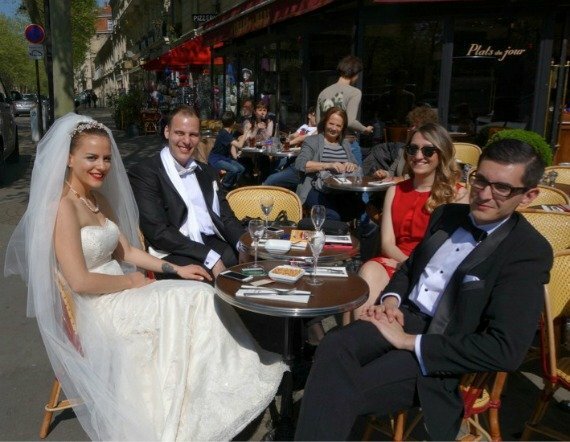 Today, terraces are still popular meeting spots for friends, coworkers, and families, and part of the reason is that apartment and home sizes are a bit on the smaller side in Paris. Many Parisians don’t have backyards or any outdoor areas where they live, so a terrace offers the opportunity to get a bit of fresh air and meet up with friends rather than gathering in someone’s small apartment. So how many terraces in Paris are there, exactly? 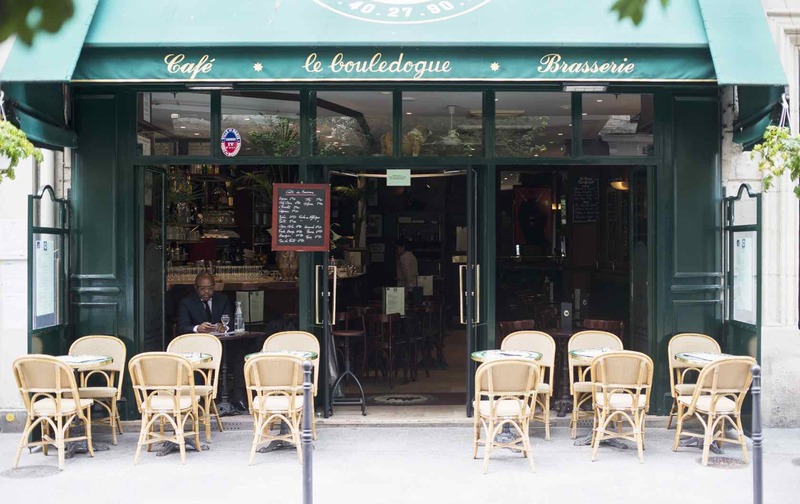 Well it’s thought that if you were to spend every day of your life visiting a different café terrace, it would take you almost 30 years to see them all. All the more reason to plan that trip and get started! As you can imagine, Parisian terraces are quite popular, and so they can get pretty crowded during certain times of the day. There are certain unspoken rules that make everyone’s experience a bit better as they’re sipping their late afternoon apero. For example: on certain terraces, you may see that there are some tables set with silverware and some without. If you plan to enjoy a meal, feel free to take a table with silverware. If you’re just staying for drinks, try to grab a table without any place settings. Next: noise levels. Terraces are meant for good times to be had, but anyone being overly loud or boisterous may be asked to leave. Also, if you’re with a big group, it’s always polite to ask the servers for assistance before seating yourselves. It’s generally frowned upon to try to rearrange the tables yourself to accommodate your party, but a server would be happy to help you do so. Next: smoking. Smoking is allowed on terraces, and if you decide to partake, it’s customary to make sure you aren’t blowing smoke on the table next to you, even if they are smoking as well. If you’re bothered by smoke fumes, it may be best to head inside the café or try the terrace during a less busy hour. And now for a tip! You may have noticed that many terraces have chairs that are facing the street. These are preferable to chairs facing away from the street, as people-watching is part of the whole terrace experience. This means that rather than sitting face to face, across the table from your companion like you may be used to, it’s customary to sit side-by-side instead. The street is your stage, so make sure you don’t have your back to it! 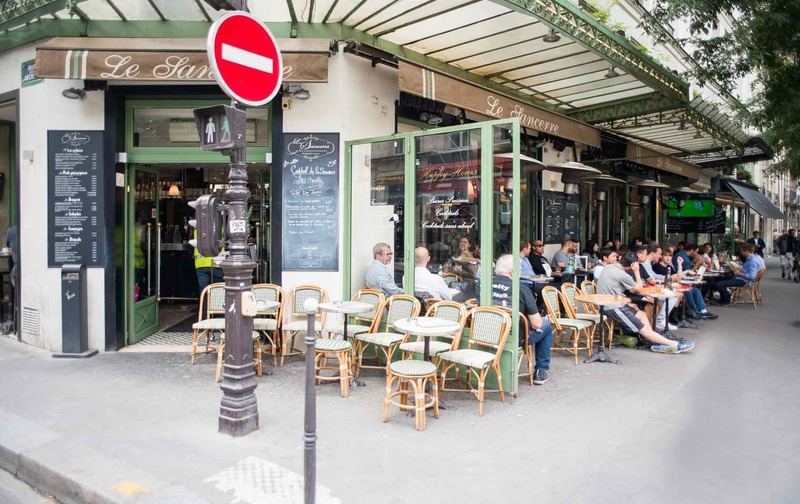 Where are the best terraces in Paris? Café de la Paix — Located in the shadow of the beautiful Opera Garnier, this café is so elegant and ornate that it almost looks like a miniature version of the opera. 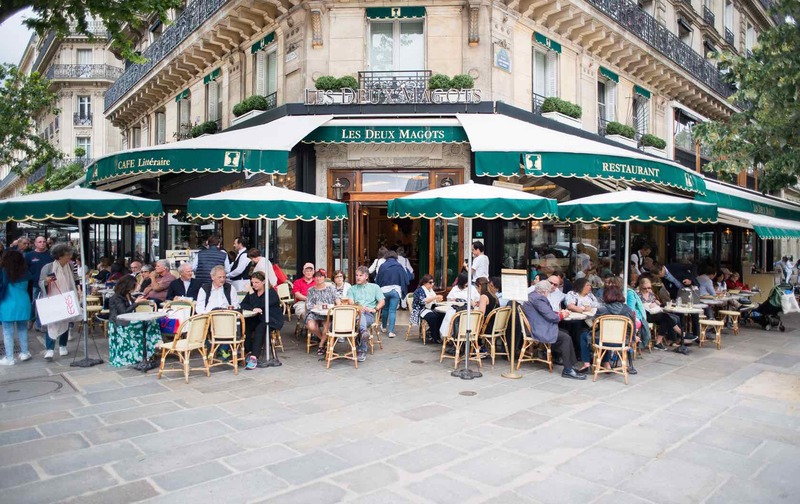 Like Les Deux Magots, this café was frequented by famous writers like Guy de Maupassant and Emile Zola. Our reservation team can help you find the perfect apartment near one of these fabulous terraces in Paris. Give us a call at 1-888-520-2087 from the USA or email [email protected]. 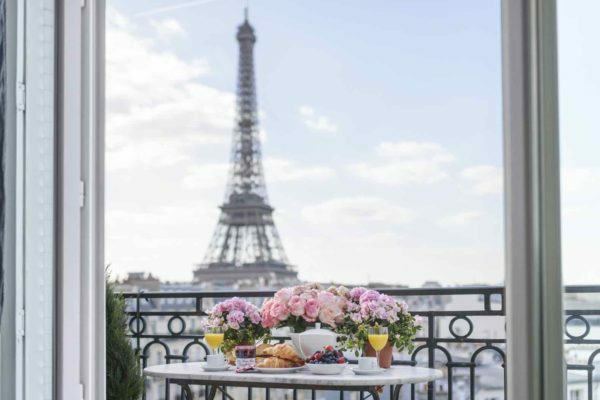 Posted on Tuesday, April 16th, 2019 at 7:25 am in Parisian Living. You can follow any responses to this entry through the RSS 2.0 feed. You can skip to the end and leave a response. Pinging is currently not allowed.